Attentive followers on Twitter are witnessing these days as the Mercedes-AMG F1 Team gets its fans in the mood for a W10 presentation. Yes, indeed, the start of the 70th season of the Formula 1 World Championship is imminent: On March 17, the first race will be released in Melbourne, Australia. We will see cleaned frontwings which spread up to two meters, ten centimeters wider and its 20 higher rear wing and the elimination of the winglets on the brake vents. 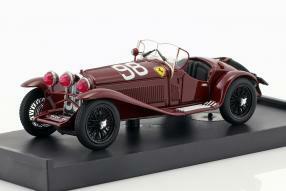 Changes that we see again in the modelcars. 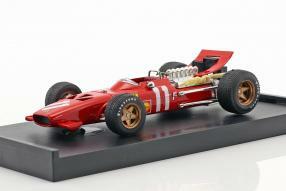 Very good miniatures will come onto the market again, the quality of which the drivers, fans and team members of Scuderia Ferrari were only allowed to dream in the 1960s. But that meanwhile great models existed even from this time, we have to thank amongst other things also Brumm. 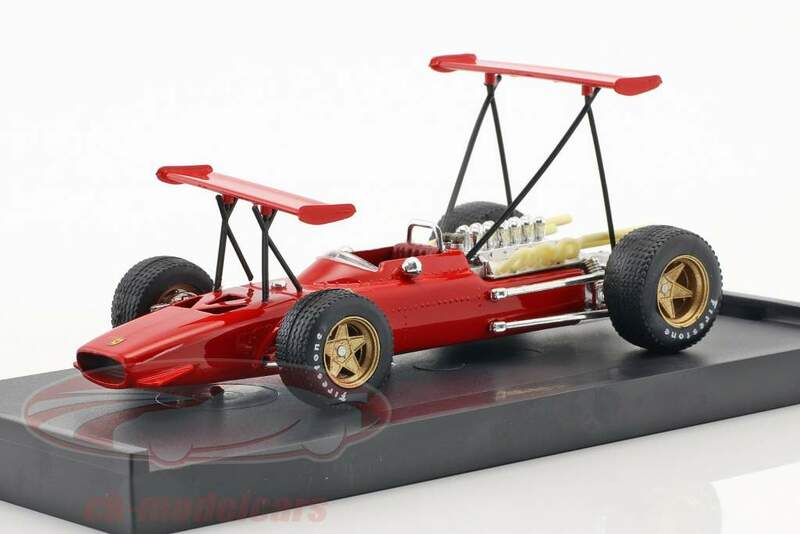 Modelcars from the time of the Ferrari 312 F1, as Ferrari used it for the New Zealander Chris Amon at the Spain GP in 1969, were not available in this finish back then. It was the matchbox era, which was more like playing in the sandbox than the detailed depiction of cars in the specifications. 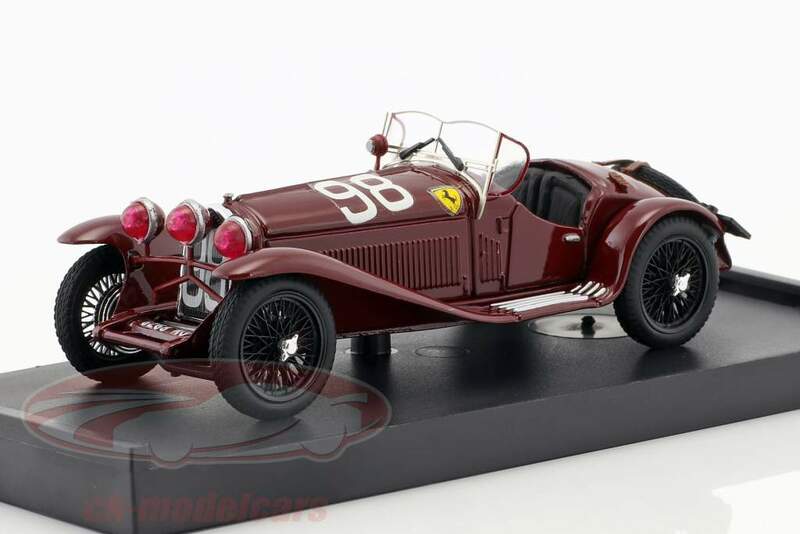 Fortunately, however, manufacturers such as Spark or Brumm fill the starter fields of the time in the collector's display cases, so that models from 1956 or earlier are already in the same quality as current racing cars of all categories. 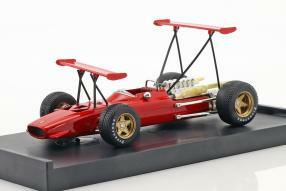 Brumm has taken on the subject of Ferrari with the well-known attention to detail and built first-class miniatures: The Ferrari 312 F1 is there in several stages of evolution. For example, in those who still have the wings built on high stilts, were banned in all classes after the Spanish GP in 1969, after both lotus - driven by Hill and Rindt - because of fractures of the same accident. The model Ferrari 312 F1 prove doppio alettone Modena Formula 1 1969 with the item number R294 testifies in a particularly beautiful way of this life-threatening era. By how much the wings were trimmed then, shows the model of the Monaco GP which followed on the Spain (R303): There are worlds between. Brumm reproduces these subtleties with great attention to detail and also shines with beautiful replicas of the then installed twelve-cylinder engines. Amons made use of 316 kW / 430 hp in the 1969 season, which was to remain as the almost only Ferrari in Formula 1 this season. Jacky Ickx had left the team in the direction of Brabham; the Scuderia concentrated entirely on Amon. But it did not work: a podium finish in the Netherlands; a seventh place by successor Rodriguez. 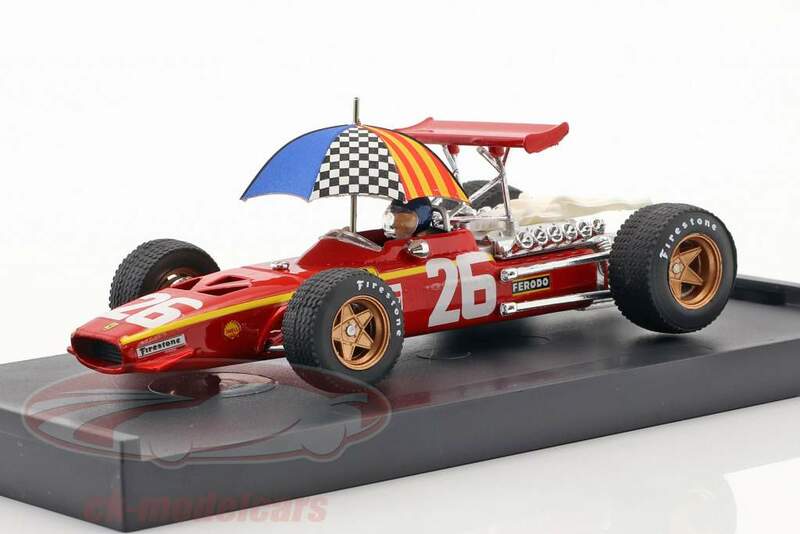 The Belgian Jacky Ickx won the rainy Grand Prix of France in Rouen for Ferrari in 1968 and was the first driver who won a World Championship race with one of the mentioned rear wings and to whom the model with the item number R171-CHU commemorates: Including the umbrella! 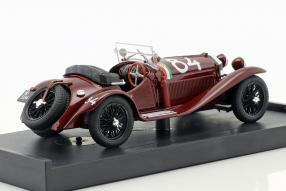 To the victorious times of Alfa Romeo at the Mille Miglia, the famous road race in northern Italy, Brumm reminds with the models of the Alfa Romeo 6C and 8C, which also appeared in scale 1:43 and inspire with the finish that leaves no detail. The processing of the diecast models is very well made: something like this the fans from the 1930s would have certainly wished.